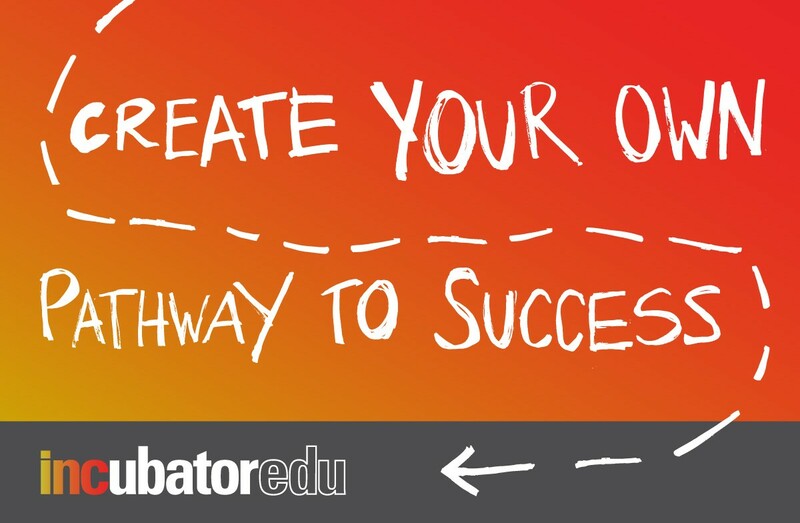 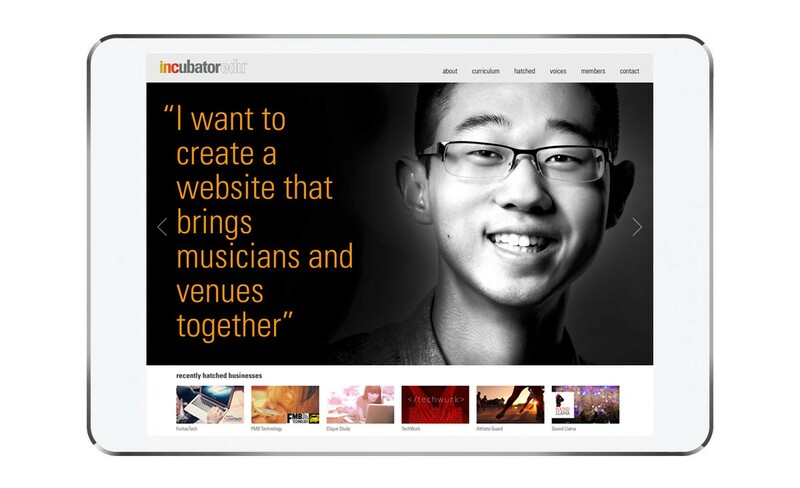 INCubatoredu blends entrepreneurship lessons with an experiential approach to traditional business subjects, allowing high school students to acquire foundational business concepts and apply them to their business ideas. 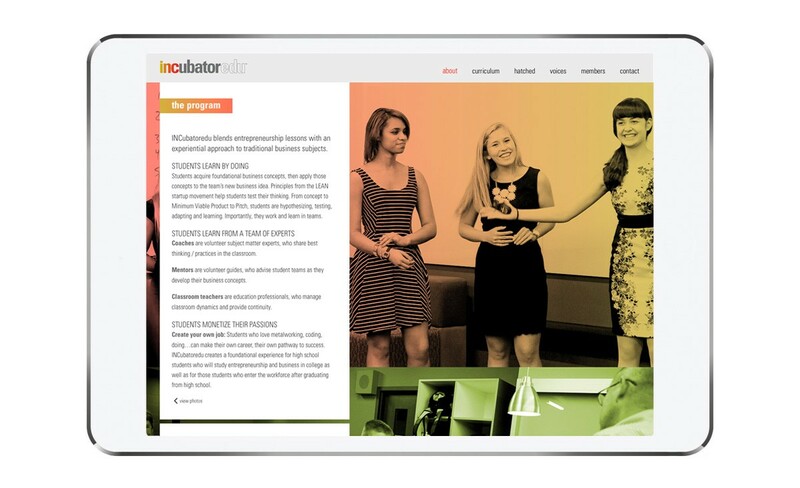 The INCubatoredu identity and website reflect the non-traditional approach to education and highlight student achievements and leadership. 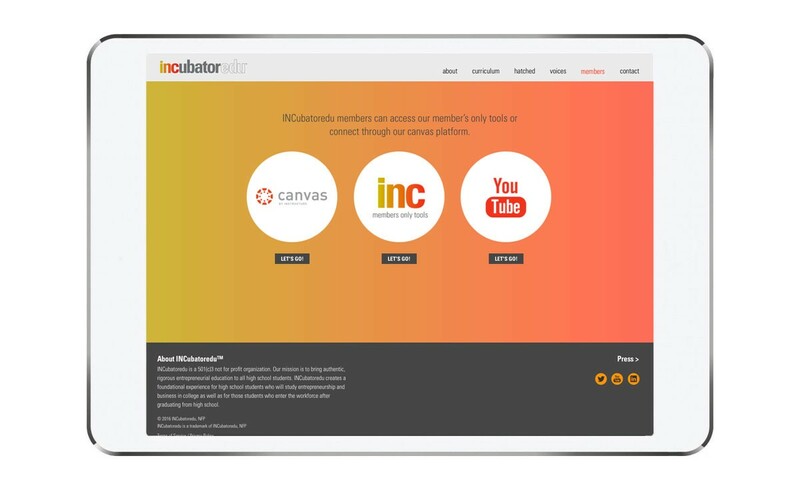 Since naming and launching the INCubatoredu brand and website, the program has grown to include 40 schools across the United States, and continues to grow and gain recognition across the country.